Thames Valley Police improved its response to rural crime by forming a partnership spanning the three counties of Oxfordshire, Berkshire and Buckinghamshire. Rural crime was identified as being one of the crimes of most concern to the community. Formed in 2011, the Thames Valley Rural Crime Partnership aimed to bring together relevant individuals and organisations in the fight against rural crime. It aimed to provide coordination and strategic leadership, with police activity driven and monitored through the TVP Rural Crime Steering Group. 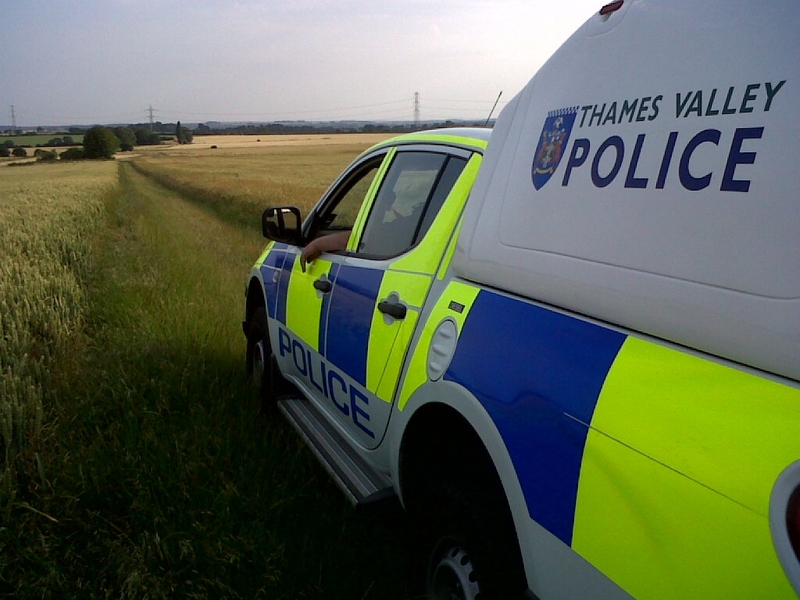 Combating rural crime then became a priority within the 2013/14 delivery plan of both Thames Valley Police and the Police and Crime Commissioner. Rural crime had been identified as one of the crimes of most concern to the community. Local residents and businesses were concerned that the police were not engaging with them, did not understand the impact of rural crime and had dedicated too few resources to tackle it. The strategy employed by the partnership to tackle and investigate rural crime focused on intelligence, enforcement and prevention. The initial response and grading of rural crime was reviewed and the use of automatic number plate recognition in rural areas was increased. Police improved the investigation or rural crime by reviewing appropriate cases on a daily basis and allocating appropriate investigative resources. Enforcement activity was increased by carrying out and publicising 20 special operations against rural crime – billed as 100 Days of Action. This saw police working to tackle rural crime across the force area and improve the confidence within rural communities using proactive operational and crime prevention methods. In doing so, police were able to highlight their activity so rural residents were aware about what was going on both in their local area and across the Thames Valley. Crime prevention reduction advisors were deployed to provide an enhanced service to farmers and security mark 500 agricultural vehicles using in designated high risk areas. Special constables were trained to tackle rural crime and provide reliable information to enable an effective response against any emerging threats. The partnership also increased and maximised the use of Thames Valley Police alerts to support Country Watch branding and Neighbourhood Watch schemes. Thames Valley alert membership increased by more than 10,000 and there have been almost 400 CESAR installations since January 2013. Theft of agricultural machinery and plant has reduced and police have improved their engagement with rural communities – and their understanding of rural crime. In August 2014, rural insurer NFU Mutual reported a 19% decrease in rural crime across the three counties – bucking the national trend of a 5.2% increase. Thames Valley Police rural crime data supports this, showing a 16% reduction. The partnership had identified four priorities in 2011. They were tackling theft of farm machinery and plant, targeting organised crime groups; clamping down on poaching and hare coursing; and raising awareness of rural crime. These priorities will shortly be modified under the heading of maintaining crime prevention and reduction activity to tackle crimes of most concern to the rural community. The fight against rural crime is now seen as “business as usual” for Thames Valley Police and the revised action plan will see an additional focus on preventing illegal raves. Staff training is ongoing. Thames Valley Police continues to fund discounts of CESAR to encourage installation and also has 13 Wildlife Crime Officers. Concerns from the rural community that the Police were not engaging with them, did not understand the impact of rural crime and were committing too few resources to tackle it. Staff turnover highlighted the fact that rural crime awareness training must be ongoing. Undoubtedly there may be aspects of activity on LPAs which have been adapted over time, but none of such significance that they have been raised at strategic level. 100 days of action is about highlighting this activity so you know what is going on both in your local area and across the Thames Valley. The Farm security assessment provides a set of recommendations for farm owners and managers to improve security.